Anybody out there a Discworld fan, sad really but I've got all of them, the last one being Thief of Time. Does anybody know if he has another one out for this Christmas. Its funny really I am an avid Sci Fi fan(not 'fantasy'), started with Doctor Who and just kept going through all the 'Treks' (I reckon the Voyager series was about the best). Having said that Terry Pratchett's off beat sense of humour is about the best thing I have seen even though it can only really be classed as sci fantasy! Does anybody remember E E Doc Smith's Lensman series or Perry Rodan. Sci Fi, the Sci fact of tomorrow! Know of Rodan but nothing more, but grew up on stuff like the Lensman series. Great stuff, although not read it for a while. I love reading, and particularly when younger was always reading something. My dad is a big Sci-fi and Fantasy fan and has a fairly large collection of books, many of which are originals from the 60s/70s, and I just used to plough my way through his library, so read loads of stuff like Arthur c Clark, EE Doc., Asimov, Poul Anderson etc. The light at the end of the tunnel has been extinguished due to management cutbacks. 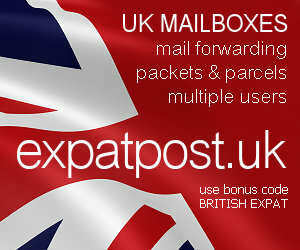 www.britishexpat.com - News, humour and information for Brits worldwide! Yes, we're Discworld fans. I'm currently reading the 23rd book in the series Carpe Jugulum (the one about vampires) and I think Dave has read all that's available for now. We only recently discovered the Discworld books. The garish illustrations on the cover always put us off. But I was desperate for something to read and bought the first one. I liked it well enough to buy another and then another. That's when Dave got curious and started reading them too. We had to scour Delhi for one of the books, and now we have the whole series. I like the ones about the Watch best. Asimov used to wite a lot of short whodunit stories, and some of them featured a man who refused to fly, but solved puzzles that occurred on other worlds. Anyone remember these stories? I've read a few of Disc World and always enjoyed them. My daughter turned 14 last week and we got her a couple of them as a present. I had the misfortune of seeing (some of) an animated film of Wyrd Sisters. It is absolutely horrible, don't waste your money if you come across it. Welcome to the forum. I've often wondered why the Discworld series wasn't made into films, but it seems they have at least started the process. I'd have jumped at the chance of watching such a film, but not since I read your comments. What was so bad about it? Did the characters look like the illustrations on the book cover or something? Does anyone like these illustrations? They put Dave and me off buying the books for ages. For some reason the humour went in the films and the animation was pretty terrible! Unfortunately that was also true of the computer and Playstation games which you needed the dexterity of a 16 legged spider to play plus a really quirky mind! I agree with you Kay the 'watch' ones are the best though Rincwind and Ridcully are there at the top! Somehow they remind me of people I know but then again that is what Discworld is all about! I'm broadly in agreement - the Watch stories are the most interesting. Probably because of the characterisations - Vimes, Carrot, Angua and the rest have more depth to them than some of the others. But having said that, I do enjoy the Lancre stories too; and Rincewind is where it all sets out from, so you can't disregard him either (though I have to say I find Ridcully far funnier). Does anybody know if he has another in the series coming out this year? I see that Terry Pratchett is now one the top selling authors with the Discworld series. I have to admit that I am not so keen on the latest ones as I also liked Rincewind, the wizards and the witches. Having said that the Guard were also excellent but the latest ones, for some reason. don't seem quite as sharp or as funny. Well, this is an unexpected revival for a very old thread.